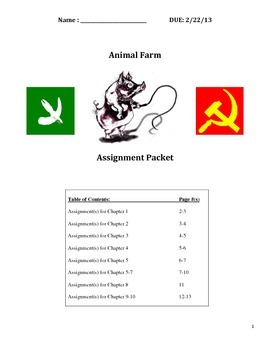 Assignment packet is from a unit on the Russian Revolution and George Orwell's Animal Farm taught to a 10th grade world history course. Assignments include comparisons between Animalism and Communism, events in the book vs events in Soviet history, and analysis of Orwell's use of satire with examples. A final essay assignment is included, where students choose two characters/symbols/events and discuss how they relate to Soviet history and how satire is used. Assignment includes outline, sentence starters, and rubric. Great for both ELA courses and for history teachers looking to incorporate literature. 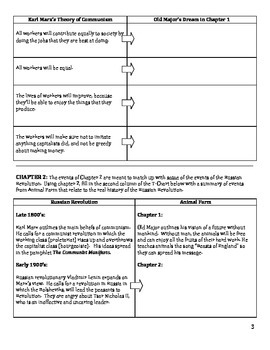 If students are reading the novel in class, assignment packet could be used for up to three weeks of class.